Today we have with us, The Man behind Pushengage, Let's hear his story. Hi Ravi Sir, Its our Pleasure to interview you, Please Introduce yourself to our audience in your own style. I am the Founder of Pushengage – a leading platform for Browser Push Notifications, serving customers in 125+ countries. Prior to this, I built CouponRani, which now provides coupons for over 4000+ stores, in India, Southeast Asia and Middle East. Earlier, I used to be a Venture capitalist in North Carolina, USA, and prior to that I was an Equity Analyst at Bank of America in New York. 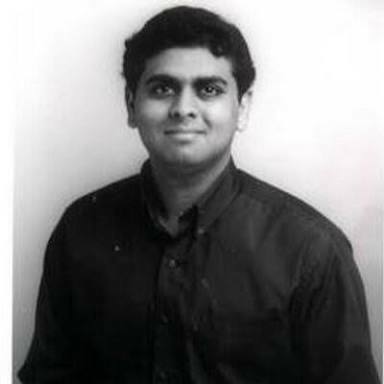 After graduating from IISc Bangalore, after a Masters in Computer Science, I worked at Hewlett Packard for several years. I started off as an Software Engineer, and build innovative products. There I went on to write a book on Web Service Security, and also represent HP in standard bodies. After that I pursued an MBA from Fuqua School of Business, Duke University. In my almost 18 years of experience, I have spent about 8 years working outside India, and remaining from India. We believe that every Entrepreneur has a story to tell, Can you please tell us "your" story of what motivated you to start an organization. In my journey on the other side of the table, I was an Venture Capitalist, where I had chance to work with startups both at strategic level, in their sale/exit process, and also, I had one unique opportunity, to work hands-on and run online division of a company as a special assignment. That experience, re-kindled my latent desire to build a company from scratch and do a Startup. So when I returned to India in 2011 from the US, I started looking at options to do a startup, instead of joining a venture fund. I realized to be a better investor, I needed to do this journey of building a company from scratch, plus I was excited by the opportunities in India. I continued to do investing, as an angel investor, and I have invested in 7 companies so far, but these help me become an better entrepreneur. Hence, I started off my journey as first building CouponRani.com, and then later when we saw the huge engagement possible with Push Notifications, we launched PushEngage, and were one of the early companies in the industry. I personally prefer to boot-strap my companies, as it brings out the best when you grow organically. My aspiration is to build a $100M revenue company (not valuation !). Give a brief introduction of all your startups, what differentiates your startups from the competitors. We have scale and can handle billions of notifications sending in a day, as well as onboarding a ecommerce player like Amazon with billions of pageviews. We offer detailed analytics – example – Subscription Rate Analytics, which allows you to A/B test your various pop-ups and decide which is best. We have detailed automatic segmentation, which will segment user based on which page they browse or what site action they take. We can scale in segmentation, which very few people can offer, so whether you need 10 segments or 10,000 we can provide you that. We offer Marketing Automation like – Auto-responders, Drip Notifications, Trigger Notifications, Abandoned Cart Notifications, RSS Feed Automatic Notification. We are easy to use and it takes 5 minutes to install. I have a question on PushEngage, Can we use PushEngage to retarget customers? If yes how? Yes, you can use PushEngage to retarget your customers. Here are couple of examples. If someone reads an Affiliate marketing blog on your website, you can add them to segment Affiliate Marketing automatically using Auto-segmentation, or using our tags. Then you can send them any notifications when you publish an new Affiliate Marketing blog. If you added a product – say iPhone X in your shopping cart and did not purchase, or if you just browsed the iPhone X, using our Triggered notifications, you can send out a notification which is personalized with customer’s name, product name, price, product image etc. "Startups cannot compete with industry leaders unless they have huge capital to invest in marketing"- what's your opinion on this statement? If this was true then there would not have been any disruptions in the market made by startups. There are several examples of startups that have taken on leadership potential, based on the product they have, or based on the virality they have in the product. That being said, capital is absolutely needed once you have found out that your product has good retention and virality, as then you want to grab the market fast. So, I would say capital at the right time is needed to be a market leader. Let's get to the personal side, Who's your role model and why? Swami Vivekanand has been my role model, and I have been inspired by him in several ways. Swamiji was an follower of Advaita Vedanta, (Non-Dualistic Vedanta), which is a philosophy and way of living that appeals to me. His words inspire us to work tirelessly, and also to be selfless, and pure in our pursuit. These are the values, I try to follow. Here is one quote from him which is very useful for Founders. If you would like to give one piece of advice to youngsters who have a dream of becoming an entrepreneur what it would be? Persistence, Hard Work and Resourcefulness are the key to success. Before starting think hard if you really want to do this, and find an idea that you are passionate about. Once you have decided and started, then don’t give up. Make use of the resources you have, do what it takes to punch above your weight. The secret to success in Entrepreneurship is to never give up. Last but not the least, What are your thoughts on our blog Boost Bloggers? After spending some time with your blog, I have found it to be a good place for honest reviews, as well as breadth of information for bloggers and Marketers. It is a great platform that you are building and all the best for you to grow it and bring more readers and viewers.